Omaha has been described as the poker game of the future. This has already happened among the high stakes community where many of the biggest pots are now seen in Pot Limit Omaha games rather than No Limit Hold'em. Part of the reason for this the close similarities between the two games, and the fact Omaha provides more swings giving those with a lower skill edge at least a reasonable shot in any one session. Many players just enjoy a game where there is limited information openly available and people are still figuring out.. In this guide to Omaha you are first taken through how to play the game. After this you can find reasons for making the switch to Omaha and the different types of game you can find. 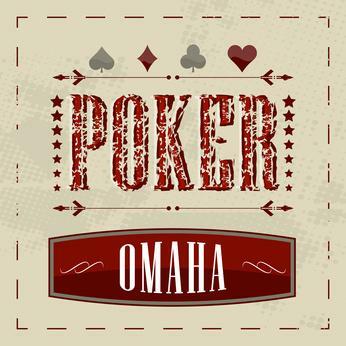 If you are familiar with Texas Hold'em then you will be able to pick up Omaha in no time. The game works in exactly the same way, with the hole cards dealt out followed by the flop, turn and river. The only differences are that all players receive 4 hole cards and in order to form a hand you have to use 2 cards from your hand and 3 from the board. The betting format used is generally Pot Limit. You can find Limit and No-Limit betting games around, although the Pot Limit format suits the game better, allowing for plenty of post flop action while still being able to price opponents out of draws. Pot Limit Omaha, or PLO, is usually only found on full ring tables in live rooms and in tournaments. Online the 6 max and heads-up games dominate. This is partly due to the fact that full ring games generally become an exercise in playing the nuts, where as short-handed games experience more play and excitement. The collapse of the full ring games online can also be credited in part to Rolf Slothboom, whose 2006 book "Secrets of Professional Pot-Limit Omaha" describe a way to exploit the game by buying in for the minimum and essentially short-stacking, which was widely copied. Omaha Poker Guide - Why Learn Omaha? So if you are a winning Hold'em player, or at least happy enough playing that game why bother learning Omaha? Well for a start it is more fun. Fact. If you do not believe me just look at a starting hand in a regular PLO game - 4 hole cards give you six times more combinations than a 2 card Hold'em hand. If you like playing hands (and who doesn't) Omaha can really get you in the action. This vast number of combinations, added to the possibilities on different boards means that Omaha is a much more complicated game than Hold'em. While this may sound daunting to some this has two advantages. 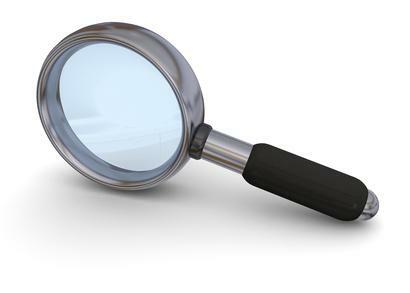 For those who enjoy learning poker theory there is always new discoveries and fewer "standard" spots that you will find in a typical NLHE analysis. Meanwhile no-one is close to 'solving' this game, meaning you can explore a variety of styles and plays, and many top players are known to adopt different tactics. Finally you will learn to use different concepts for Omaha that can be applied to other poker formats. For example Omaha is a lot more of a drawing game than Hold'em, meaning your board reading skills will improve along with your post-flop play. Another key area where Omaha can help you is your outlook on variance. PLO especially is a game full of wild swings, where you can flop the nuts and still be an underdog, so it can definitely help your mental tolerance of bad beats. There are several different variations of the game apart from PLO. Until the advent of online poker PLO was mainly a European game and the most common Omaha version played in the US was Limit Omaha Hi-Lo. Here the pot is often split into two between the usual high hands and qualifying lows. Like high only Omaha you must use 2 cards from your hand and 3 from the board, although you can use different cards to create the high and the low hands. In order to qualify for a low you must have 5 cards of different values which are lower than an 8, with straights and flushes ignored and aces counting as both high and low. So your best low hand is A2345, also known as the wheel. When there is no qualifying low the high hand wins the entire pot. Omaha games, both high only and split pot can now be found with 5 and even 6 hole cards. These play in exactly the same way as the 4 card games only with more possible combinations. As most hands can justify some potential, particularly to those not used to Omaha games, you will tend to find these games are loose pre-flop and nitty postflop. A popular French variant of Omaha, Courchevel is now spread on some online sites and in card rooms outside the country. Here each player gets 5 hole cards and the first board card is dealt before the preflop betting commences. It can be played high only or as a hi/lo split game. Learning Omaha is a great way of getting away from the monotony of No Limit and keeping poker fresh. Even if you do not feel you need this being a good poker player means adapting to the best games available and Omaha games frequently have some of the largest pots and fishest players around.